Big Boy loves our local LEGO store. Every time we go to the shopping centre it's the one shop that he wants to visit; as he loves to see what he saving up for hasn't sold out or to find out if he finally has enough money to buy something he's had his eye on. 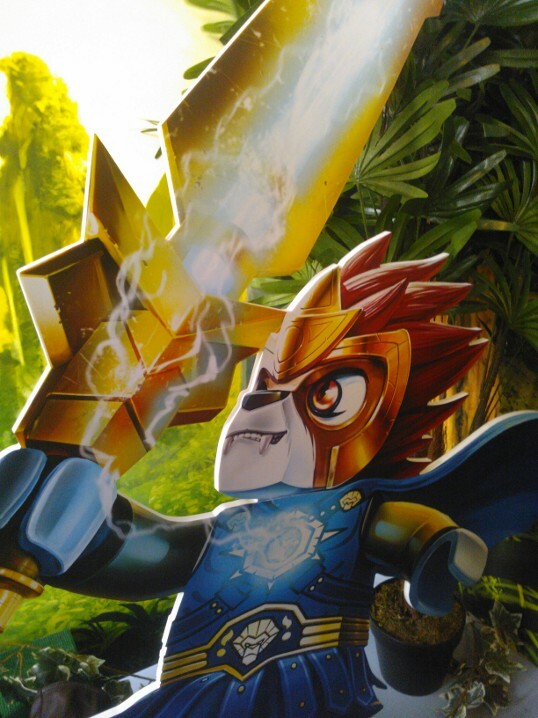 When Lego Legends of Chima was released, he was excited as he loves the idea of anthropomorphic animals, especially ones that are interested in keeping the balance of good in their world as he believes that everyone has a Hero inside of them. 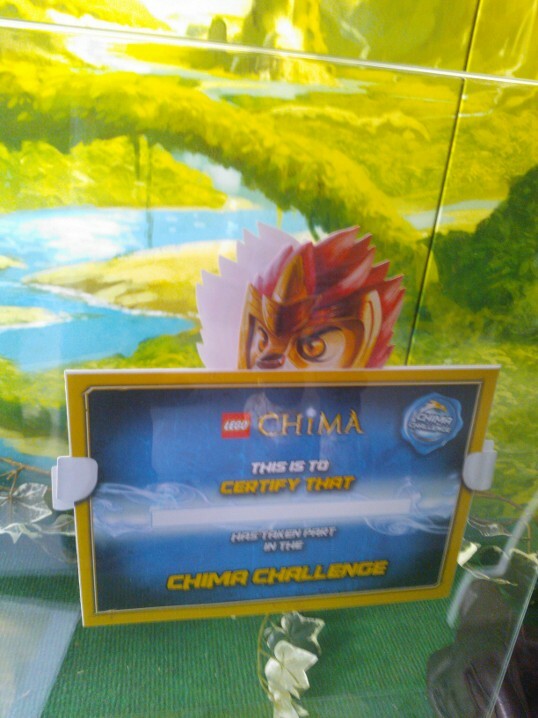 It was without hesitation that when we were asked to attend the launch of the Lego Chima Challenge that I accepted, even though we knew that Big Boy at four was never going to reach the finals. 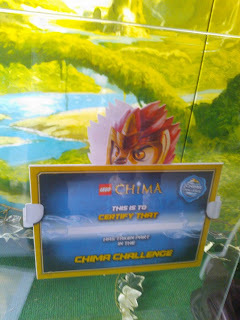 The Challenge was launched at Chessington World Of Adventures, (and you can read about the new Zufari ride in my other blog post) for people visiting over the Easter Holidays and Big Boy and Top Ender loved playing with the different challenges, although as expected they aren't going to be at the finals in October. They did get a great little Goody bag, as do any of the children who enter the challenge, which had a rather lovely little certificate in it. It's Big Boy's 5th birthday in just over a month, and judging from his reaction to the Chima Lego, I'm guessing it will be on his gift wish list and our Lego Table will start being the battle ground between the eight tribes of Chima. We were given free entry to Chessington World of Adventures and we may have eaten our weight in bacon and cheese stuffed croissants and really cute biscuits.